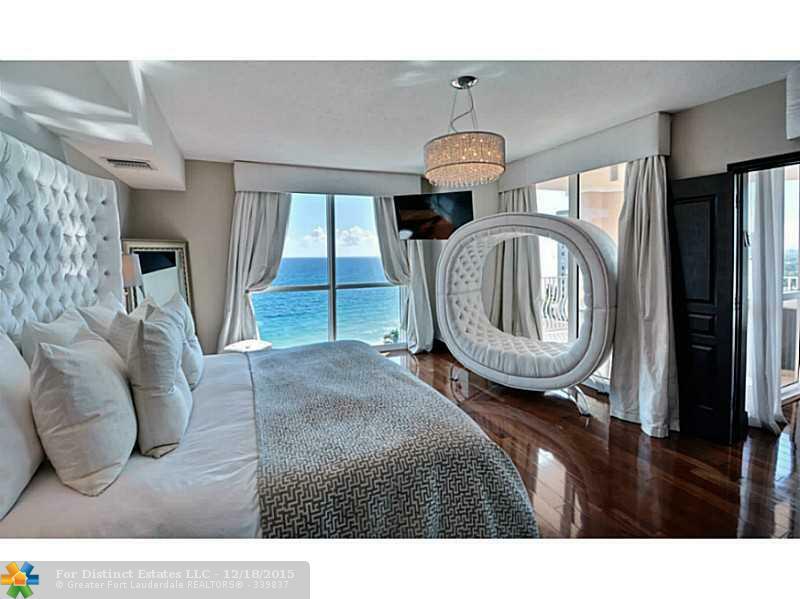 This beautiful condo in the sought after Europa Building in exclusive Lauderdale By The Sea is on the market. This three bedroom and three and a half bathroom stunner overlooks the ocean. This residence has been professionally decorated and completely furnished so it is turnkey. The three bedrooms and three and a half bathroom are generously laid out over three thousand five hundred feet of perfectly appointed living space. The unit features two over sized balconies to entertain your guests. The home has rich custom wood flooring throughout the main living areas. The home is accented with elegant white Venetian plaster. This home has a private entry way. The window treatments are all motorized with custom draperies. The gourmet kitchen features a gas range, wooden cabinetry and a full suite of stainless steel appliances. You get two parking spaces with this unit. This is a pet friendly building. Residents of Europa have plenty of amenities to enjoy such as: Bar Be Que/ picnic area, clubhouse, fitness center, heated swimming pool, spa hot tub, and a vehicle wash area.